Rent The Hermitage Hotel | Corporate Events | Wedding Locations, Event Spaces and Party Venues. 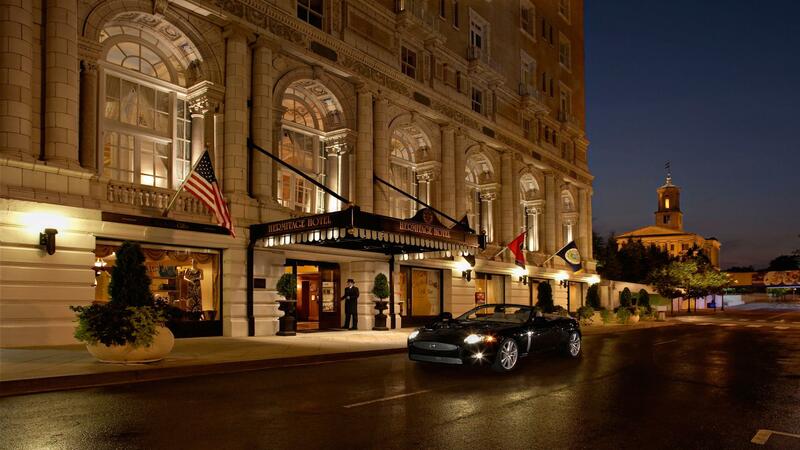 “Meet me at The Hermitage Hotel” may have been one of Nashville’s most popular phrases during the 20th century. When spoken or heard today, those words evoke a timeless sense of quality, excitement, a touch of glamor and class, and the assurance of a memorable experience amongst friends. Since 1910, The Hermitage Hotel has been the best venue and the choice of brides for an elegant Nashville wedding. Like a grandmother's veil or a mother's ring, for over one hundred years hosting a wedding and reception at The Hermitage Hotel has been a tradition handed down through generations. Warm surroundings, careful planning of the finer details, and an award-winning culinary team are just a few of the 5-star ingredients that will make your wedding at the Hermitage Hotel everything you dreamed it would be. Exchanging vows with your loved one is the most most memorable event of your life and the wedding venue you choose should be equally unforgettable. Our staff is committed to orchestrating your dream day, with a focus on rich decor and seamless execution of details. Since our opening in 1910, businesses from around the world have elected to hold meetings at The Hermitage Hotel in downtown Nashville. Our unique meeting venues - which include an eclectic collection of boardrooms, the historic Grand Ballroom, and Veranda - provide the perfect settings for any occasion. Our convention services team is prepared to assist you with every aspect of your event - from the details of your program as they will be performed within the hotel to off-site requirements. Our culinary team will work to create menus to fit your group's personality. Whether you are planning a board meeting or an incentive trip for your top team members; every function receives our distinctive attention to detail.